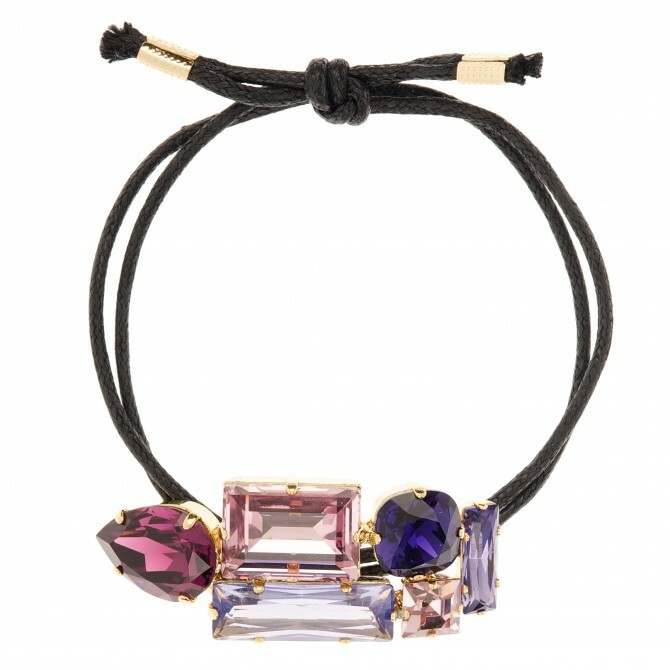 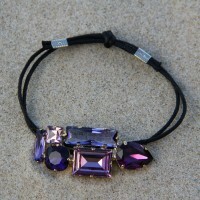 Martine Wester's limited edition craze crystal bracelet with assorted sized and purple coloured hue of European crystals. 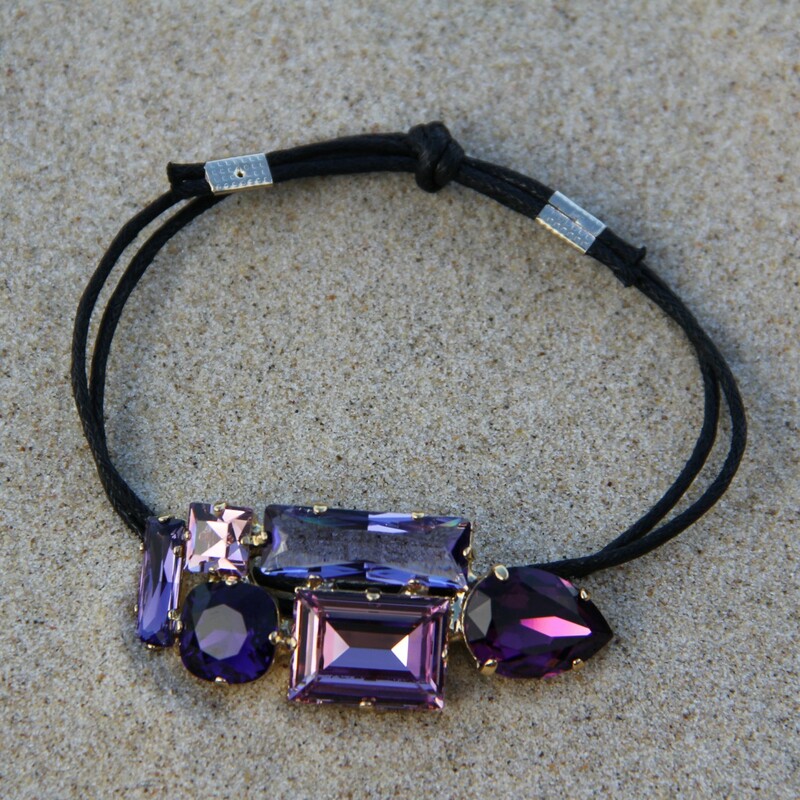 The crystal cluster is a maximum length and width of 60mm and 24mm respectively. 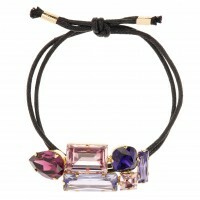 A leather strap gives adjustable sizing up to 220mm (circumference). 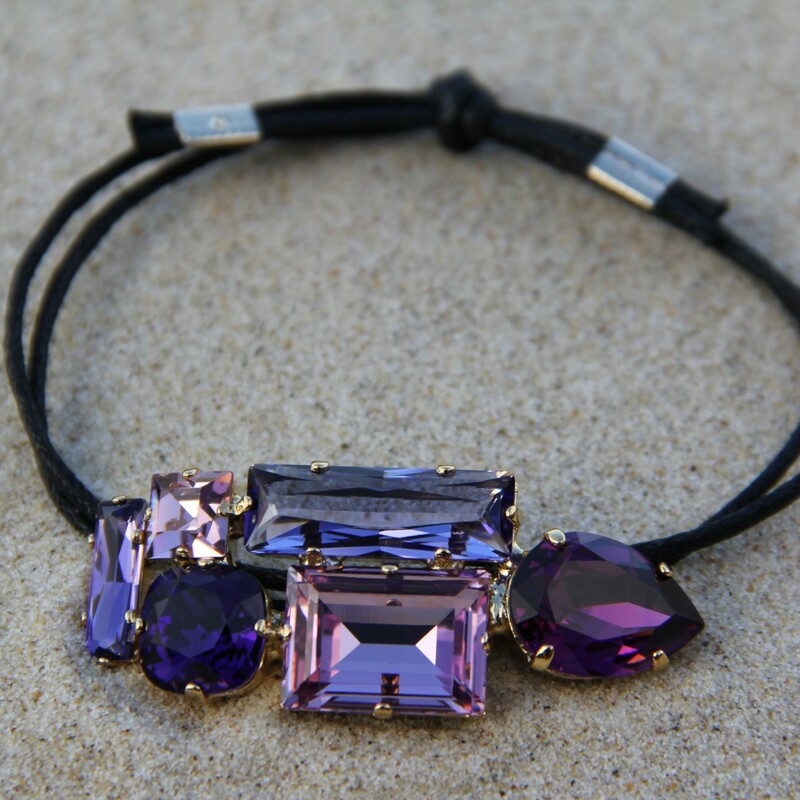 This beautiful bracelet has a very casual yet smart feel. A matching necklace is also available which together would make a lovely gift.